The three-day long Winter School on Computational Intelligence will be organised for developing research skills, expertise and a forum for multidisciplinary collaborative research in Bangladesh. The winter school will cover topics such as Fuzzy systems, Neural computing and Evolutionary computing with applications to nonlinear and complex systems in engineering domain. The target audience will be the dynamic young researchers in academia in Bangladesh across all disciplines of Computer Science, Engineering, Mathematics, Physics, and other applied sciences. The school will give priority to young academic staffs of universities across the country (with priority to public universities outside Dhaka). The main objectives are to develop research skills, collaboration and cooperation among researchers, interaction between cross disciplines and developing multidisciplinary research forum within the country to meet the current demand of research. The winter school will be organised into lectures by experts in the field, invited lectures (over skype by world leading researchers in the domain), laboratory sessions, and open forum discussion on advanced topics. Matlab will be introduced in laboratory sessions for developing simulation and experimentation. Each participant will be given a research topic and assigned to a local collaborator/supervisor in Bangladesh and an international collaborator in Asia, Australia, Europe and North America. The school will provide some source material to initiate the research activity related to the topic assigned to participants. It is envisaged that the participants will be developing a research paper (preferably journal paper) with their respective collaborators within the next few months after the winter school. The involved parties will follow up progress and will provide support for publication in reputed journals. Interested researchers are invited to express their interests by clicking here no later than 15 December. If you have any query, please send email to: Dr. A. B. M. Alim Al Islam, email: alim_razi@cse.buet.ac.bd. The places for this winter school are limited to only 20. 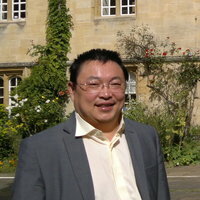 Xin-She Yang obtained his DPhil in Applied Mathematics from the University of Oxford. He then worked at Cambridge University and National Physical Laboratory (UK) as a Senior Research Scientist. Now he is Reader at Middlesex University London, Adjunct Professor at Reykjavik University (Iceland) and Guest Professor at Xi’an Polytechnic University (China). He is the IEEE CIS Chair for the Task Force on Business Intelligence and Knowledge Management, and the Editor-in-Chief of International Journal of Mathematical Modelling and Numerical Optimisation (IJMMNO). Dr Kathryn Merrick is a senior lecturer in information technology at the University of New South Wales, Australian Defence Force Academy (UNSW Canberra). She completed a Bachelor of Computer Science and Technology at the University of Sydney, including a study exchange at the University of California, Los Angeles (UCLA). She graduated with First Class Honours and the University Medal in 2002. She completed a PhD in computer science through the National ICT Australia and the University of Sydney in 2007. She moved to UNSW Canberra in 2008. Kathryn has over 60 publications in books, journals and refereed conferences. Inaki Rano holds a MSc in Physics ('97) and a PhD in Computer Sciences ('04) from the University of the Basque Country. From 1997 to 2004 and from 2005 to 2010 he was, respectively, a member of the Robotics and Autonomous Systems Group of the University of the Basque Country, and the Robotics, Perception and Real Time Group of the University of Zaragoza. In 2011 he joined the Institute for Neural Computation of the Ruhr-Universitaet Bochum. Since 2013 he is Lecturer on Cognitive Robotics in the School of Computing and Intelligent Systems at the University of Ulster. His main research interest focuses on modelling and learning natural movement and the exploitation of these models in robotics. Associate Professor Dr. Salmiah Ahmad, started her career as a Project Engineer at Toyo Engineering and Construction (M) Sdn. Bhd, after received her BEng in Mechatronics Engineering from International Islamic University Malaysia, Malaysia in 2001, MEngSc in Electrical Engineering from Curtin University of Technology, Australia in 2004. Later she completed her Ph.D in Automatic Control and Systems Engineering from The University of Sheffield in 2010. She is currently an Associate Professor at the Department of Mechatronics Engineering, International Islamic University Malaysia, Kuala Lumpur. In 2012, she has been appointed as a panel for Engineering Accreditation Council (EAC), to evaluate degree programme in Mechatronics field at universities in Malaysia. She also has been appointed to hold some administrative posts at Faculty level such as Engineering Industrial Training Coordinator as well as the Academic Advisor. Her current research interests include; Intelligent Systems and Control, Mobile Robot, Rehabilitation and Bio-signals, Instrumentation and Signal Processing/Conditioning. Dr. Mohammad Shafiul Alam is working as a Professor in the Department of Electrical and Electronic Engineering, Dhaka University, Bangladesh. He received his PhD from Department of Automatic Control and Systems Engineering, University of Sheffield, UK, in 2007 under Commonwealth Fellowship scheme. He worked as visiting/post-doc researcher in University of Science, Malaysia, University of Bradford, UK, Northumbria University, UK and Anglia Ruskin University, UK. His research interests include Robotics and Intelligent Control Systems, Computational Intelligence, Systems Biology & Bioinformatics. Dr. Sifat Momen is currently working as an Assistant Professor within the Department of Computer Science and Engineering at the University of Liberal Arts Bangladesh (ULAB). He received his PhD in Computer Science from The University of Sheffield, UK. His PhD thesis was in the area of multi-agent and multi-robot systems with particular emphasis in designing effective task allocation mechanisms in groups of mobile agents. His PhD work was at the interface of biology and engineering, and was strongly inspired by the behavior of social insects (e.g. ants and bees) that are well-known to exhibit self-organizing behavior. He was involved as a Research Associate (RA) within the ANTLab of the School of Biological Sciences at the University of Bristol, UK. Prior to his PhD, he completed MSc in Electronics and Information Technology from Sheffield Hallam University, UK in which he was awarded a distinction. After his MSc, he was involved within the Microsystems and Machine Vision Laboratory (now Known as Mobile Machine and Vision Laboratory) for some time wherein he carried out research work related to modelling and simulation of natural systems. Dr. Momen received his undergraduate degree in Computer Science from North South University, Bangladesh. His current research interests include that of modelling and simulation of natural systems, swarm intelligence, swarm robotics and artificial life.